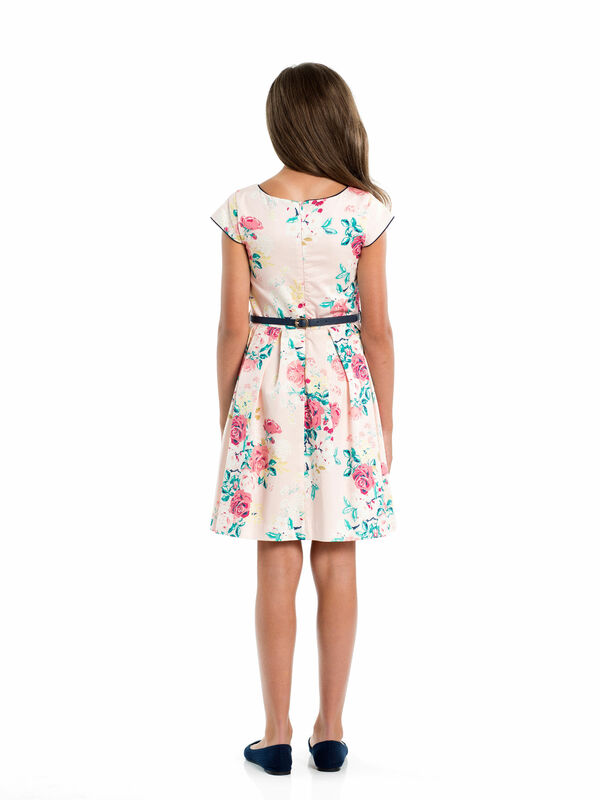 8-14 Girls Charlotte Dress https://www.review-australia.com/au/8-14-girls-charlotte-dress/RE19RK045.REPNK001.html Perfect for autumn tea parties in the garden, the junior Charlotte Dress pairs a fuchsia and teal floral print one a pale pink background. Effortlessly charming thanks to the gentle capped sleeves and pleated A-line skirt, the dress comes fitted with an invisible zipper at the back, and a removable, bowed belt that angelically complements the black lining. 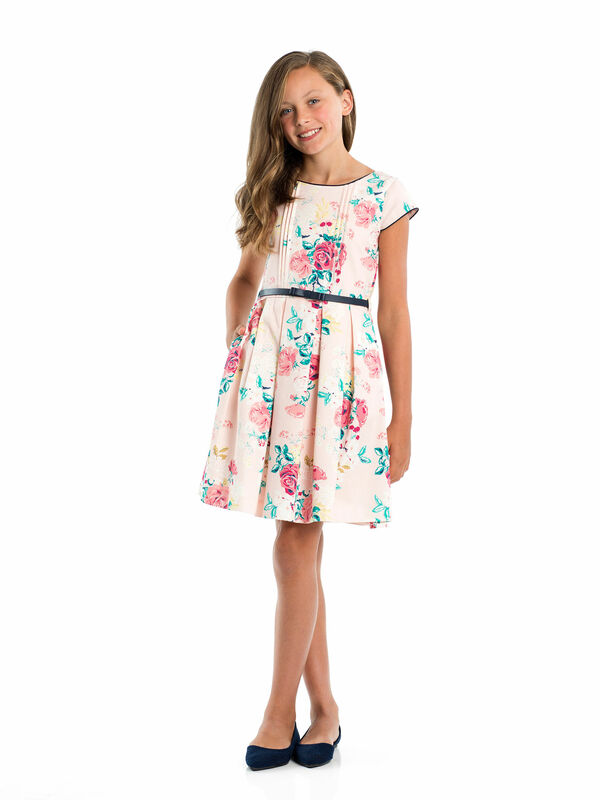 Perfect for autumn tea parties in the garden, the junior Charlotte Dress pairs a fuchsia and teal floral print one a pale pink background. 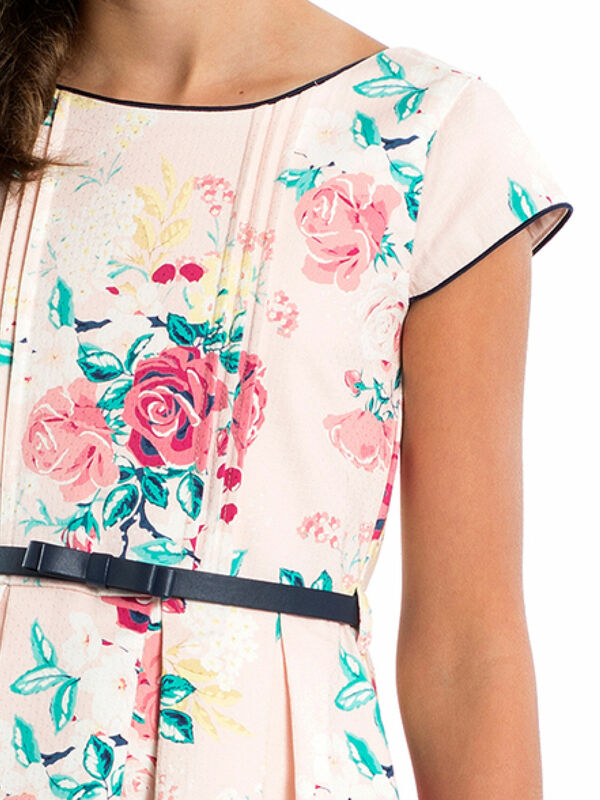 Effortlessly charming thanks to the gentle capped sleeves and pleated A-line skirt, the dress comes fitted with an invisible zipper at the back, and a removable, bowed belt that angelically complements the black lining.